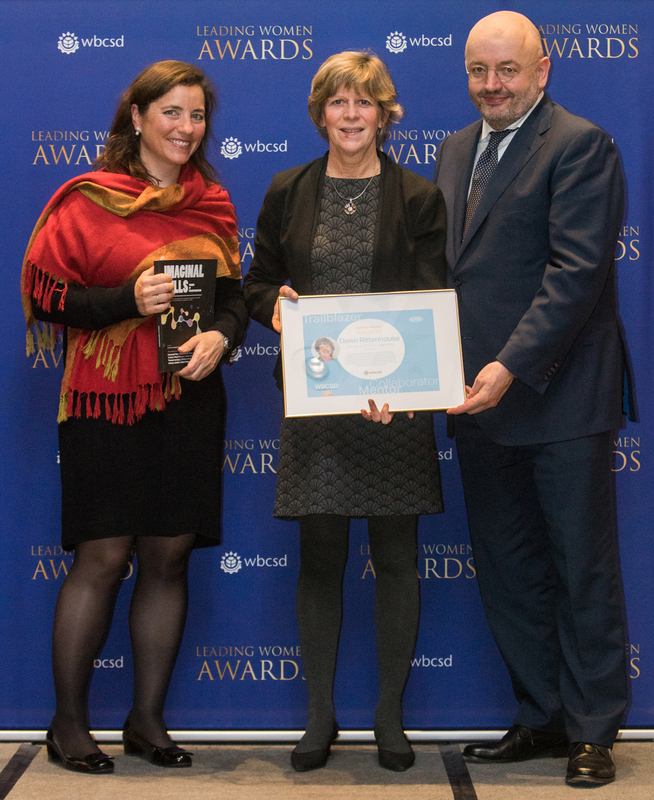 Dawn Rittenhouse (center) accepts the WBCSD Leading Women Award 2017 from WBCSD President Peter Bakker (right) and Managing Director, Natural Capital Maria Meniluce (left). On March 8th, the World Business Council for Sustainable Development (WBCSD) announced the first 10 recipients of the inaugural Leading Women Awards, developed to recognize outstanding female leaders within the WBCSD membership. The awards, which were announced on International Women’s Day, showcase the business leadership of women in WBCSD member companies who are working to contribute to the Sustainable Development Goals (SDGs). WBCSD launched the Leading Women Awards as a contribution to the goal of SDG 5, which aims to achieve gender equality and empower all women and girls by 2030. For large companies that have been around for a while, invested capital is a major challenge. Once an investment is made, it can be difficult if not impossible to change course. It makes sense when approached from a personal level. Take your car as an example. Every day you can try to drive fewer miles, carpool, or use public transportation but you only get the opportunity to make the big decision on what car to purchase occasionally. Corporations have the same challenge - once we have invested in a new facility, it may have a lifetime of 30-40 years and it is very difficult to make major changes. It’s is a similar concept in product development - if you don’t consider sustainability early in the process, decisions are made that limit the ability to really make a difference in the sustainability impact of the product.